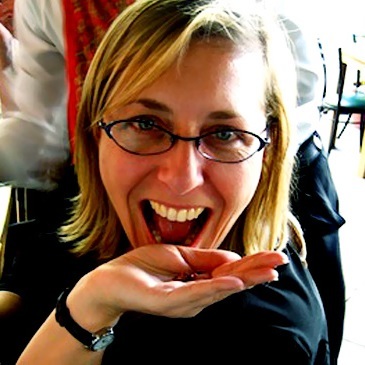 Rebecca is an American writer, editor, food lover, and world traveler. She arrived in Puebla from San Francisco in 2007 to study Spanish, fell in love with the place and its people, and decided to stay. Since then, she’s taken in as many sights, sounds, tastes, and cultural experiences as possible, from sampling pickled cow jelly to making mole from scratch using a metate. Now an expat, she lives in Cholula (yep, just like the hot sauce) with her other half, who is, as people here like to say, “más méxicano que el chile,” or more Mexican than a chile pepper — in his case, a Poblano one. Want to find the essential eats in Puebla on the go? Download our app to discover the best places to eat in over 275 cities.